There are almost 5 billion Internet searches per month. 99% of Internet users utilize search engines. 56% of Internet users search at least once a day. 21% of Internet users search at least four times a day. Google amounts to over 65% of all U.S. searches. We incorporate these basic standards into all sites that we develop. Search engine optimization is as much about how you initally develop your web site as it is about how you market your site. It is also about how you maintain and continue to develop the site so that various aspects of SEO are not compromized and the clean code base does not deteriorate over time from having "too many (inexperienced) cooks in the kitchen". You definitely don't want all the hard work and expense that you put into advertising and content to be compromized by the coded aspects that you can't see in a web browser. Manual submission by a human through a form on their web site that requires human involvement and is designed to reject automated submissions. Organic discovery when the search engine finds your web site by following links from other sites. XI Interactive performs manual submissions to Google, Yahoo!, MSN / Bing, AOL Search, DMOZ and Ask.com etc and then we monitor those submissions to verify the listing. There are in many instances, client industry related search engines that can also produce web traffic. We will submit to these manually also as they are discovered. One of the other problems with automated submissions is that you lose control of your page titles and page descriptions as they are listed in search engines that accept automated submissions. The best policy is to always maintain influence and control over page titles and page descriptions by making the search engine use custom information placed in those tags in each page of your web site. This requires a combination of good meta tagging and a few code tricks. When this is done properly, updates to pages in your site will also reflect in the search engne indexes so that search results list the desired page titles and descriptions for visitors to choose from. There is a big difference between the reports you get from server log based web statistics programs and code-based analytics programs. Statistics based on server logs typicall tell you how many "hits" you have had and most of the information is disecting those hits. Hits as a metric can be misleading as you track the performance or your web site. Web analytics, on the other hand, are based on visitors and tracking their time and movement around your web site. Easy to install, but not so simple to understand, you benefit greatly when you make the switch to analytics and work with a knowledgeable party to interpret what the analytics mean. Understanding your analytics tells you alot about which content on your site is effective in accomplishing your goals. Armed with this knowledge you can see where you need to make changes in your site to maximize its effectiveness. The content of the page is the most important thing in how a page is ranked. This is what the search engines are after - acurately ranking the content of a page to search keywords. The best thing you can do to get good search rankings is to have good content and lots of it. This is ORGANIC SEO. Next, your page content and hidden page metadata should agree. The metadata should not overstate the content of the page. Content is best in HTML text for the most search engines to read and therefore index that content. Some search engines are now reading PDF files, but chances are, those PDFs dont have your site navigation in them so your web site wont necessarily be linked from the PDF. Also, images are not something a search engine can read either. This includes Flash. If you want flash-based web site, then you might consider making a non-flash site so that search engines will index your content. First impressions do count when it comes to search engines and it only takes a few milliseconds for a search engine to crawl a page and digest the code. There are specific programming codes that will tell the search engine how important each part of a page's content is. Using WYSIWIG development tools is industry standard practice. Programs like Adobe Dreamweaver can be very helpful as it is one of the most widely used by professionals because of its features and the fact that it does create fairly clean code. Some other WYSIWIG tools (often used by novice developers) will create inferior code that can severely hinder the search engine from properly indexing your content, as well as cause problems of cross-browser compatibility. Professional "hand coding" or using an editor that relies on a programming interface instead of a WYSIWIG interface results in the cleanest code possible. With all the effort you put into content creation and editing, you want that content properly indexed by the search engines. Professional development will help achieve and maintain this goal. So back up all your hard work on your content with professional web development - it will be worth it. There are differing techniques in SEO and often these are known as "White Hat" and "Black Hat" techniques. Basically, The White hat techniques are the ones that you are supposed to use. These are the ones that are designed to work with the search engine algorithms in their efforts to provide the seeker the best results possible. The Black Hat techniques, on the other hand, are methods that are tricky and dont always work. They are often deceptive, and if you get caught doing them, you will be penalized in your rankings. If someone promises you that they will get you the top rank on Google then... well, according to Google they are not telling you the truth. These are black hat marketers. Dont try to fool the search engine. It used to be that we had all kinds of tricks we could do to get our sites to the top rankings and nobody really knew any better. The web was young. Search engines weren't really intelligent back then. Well, the Internet has become billions of pages with more added every hour. But now, by necessity the search engine companies have become very sophisticated in order to provide relevant results. They analyze every page and compare it to the whole web site and the sites that it links with. If you try to fool them ... if you break the rules, your site will be penalized in the rankings, and it might even be removed and blacklisted. 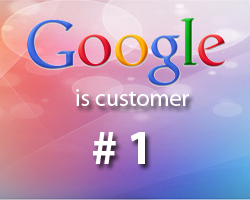 Honesty is the best policy and this applies to your methods of search engine optimization too. Google, Yahoo!, MSN / bing, AOL Search, DMOZ and Ask.com search companies spend millions of dollars on developing their algorithms... and they keep changing them. They dont want the market to figure out the weighting strategies, so they keep changing the algorithms, and they are a guarded secret like the recipe for Coca-Cola. If you are gullible enough to believe the SEO tricksters claims to guarantee top ranks.... well, find a good charity to give your money to instead... at least you will get a tax deduction for it and you will sleep better knowing that you have helped someone else along their way. We have core values and we will only do white hat SEO. The black hat stuff is not honest, and in the long run its not going to help you but rather it will hurt your rankings at which point we know you wouldnt trust us or be happy with our service any more. Suffice to say, our relationship would be damaged. Its better to do things right, pains-taking as it is. Take the time to write good content and build a well organized web site. Take the time to do it right, and when you earn the rankings, you will keep them longer. Employ good technical code and META data- we will explain this to you when we meet with you. Not everyone knows how to do this and certainly few know how to do it well. Then once it is done it has to be managed efficiently so that it doesn't cost you (the client) exhorbantly of its upkeep. Make sure your content and META data match - The naked eye can't see the META data but the search engine can. If the META data and your content do not match then you will actually be penalized by the search engine's sophisticated algorithms. Research your keywords. Use them appropriately. Don't overuse keywords or you will be penalized..
Take care to share linking with quality web sites. Search engines grade you on the neighbors you keep. Refresh your content constantly. Blogs, news articles, RSS feeds, and calendars are good ways to do this among others. Update static pages occasionally. Overall, consider your SEO efforts as a long process. When you are talking to an SEO consultant, talk to them about their methods. If you hear any of the following then they are tipping you off that they are wearing the wrong color of hat and if you employ them and they get caught... well its going to take a while to build your web traffic back up if you get removed from Google's index and blacklisted! Guaranteed Rankings on Google or other search engine - According to Google, noone can guarantee rankings on Google and they state this in several places on their web site. There are only two ways to get a site listed on Google and noone has a priveledged relationship that gets better organic search rankings for their submissions. If they are guaranteeing ranking then they are either (1) lying or (2) using techniques that will get you banned or (3) making promises about obscure searches that likely noone will use. Submissions to Thousands of Search Engines - Google is better than 60% of the U.S. search engine market and the truth is that you need to focus on about five search engines and some of these are actually sharing databases. So fortunately the game is not about keeping with how you are doing on thousands of search engines, but rather it is about preparing your site for less than ten of them. The concept of submitting to thousands of search engines takes automated software, but Google and other dominant search engines do not allow automated submission. Spamdexing/Keyword Stuffing - Spamdexing involves many different kinds of techniques that are designed to trick the search engine to believe that the page contains more content then it really does. Essentially this is over-optimizing and it is meant to decieve or cheat the index. Search engine companies are becoming more clever, however, and they are constantly changing their algorythms so it is essentially impossible to figure out exactly what combination of keywrods will actually get you the ranking you want. The best policy is just to write good content and create the proper META tags for that content - do it right and don't over do it. If your keyword density trips the alarms of the search engine algorithm then you will be suspect for keyword stuffing. Link Farms/ Free For All pages These pages are of almost no use other than they supply lots of links. Sometims the creators charge you to be on them. Save your money and dont waste your time. Utilizing Shadow Domains - The SEO company creates a "shadow" of your website that they suppozedly optimize through various methods of keyword stuffing and some other messy methods that you would not want them doing to your web site. All of this is done to attract traffic on your behalf and redirect it to your web site. The problem is that it is utilizing the spamdexing/redirecting techniques that the search engines dissallow. Then if and when you sever your relationship with your SEO firm they own the shadow domain and they will use it against you in your market by selling that traffic to someone else. Utilizing Doorway Pages - Doorway pages are a deceptive practice of creating a page that is optimized for the search engine by uzing high keyword density or some similar method in order to get a high ranking in search results. When the visitor clicks through the search results to get to the page it includes an automatic redirect to another web site. Most search engines are now removing these doorway pages from their databases and they are penalizing the target web site for using the technique. It is best not to employ an SEO consultant who uses these techniques. XI Interactive builds SEO features into every web site that we develop, but we also contract SEO monthly plans with our clients. SEO is not the kind of thing you can touch once and leave it be - if you do you will get beat by the guys that are working it all the time. Basic Plan - FREE (included with hosting)- Review of your site and structure, online access to web stats, keyword reports, search engine query results, and more. Standard Plan - $80/mo- Review of your site and structure, online access to web stats, keyword reports and research, search engine query results. Sitemap.xml updates provided for search engines, META tag updates and more. Pro Plan - Custom Pricing - Review of your site and structure, online access to web stats, keyword reports and research, search engine query results, technical advice on web development. Sitemap.xml updates provided for search engines, META tag updates, custom research and content consulting/development and more. Combo Plan - combine your SEO plan and a Web Site Maintenance plan for additional savings and get free web hosting on our web servers!